If Michael van Gerwen’s Ladbrokes World Darts Championship win, coupled with Phil Taylor’s early exit, shifted the power in the sport’s hierarchy, then the first night of Premier League action shunted the tectonic plates even further. The Dutchman whitewashed Taylor 7-0 in the competition’s opening round in Liverpool, leaving the 17-time World Champion rock bottom of the Premier League standings after one round. In a match of just three maximums, Taylor missed all four darts at a double while his opponent averaged 109.59 and checked out seven of his nine opportunities. A dramatic lifestyle change, which put Taylor on a juice-only diet since the New Year, and a switch in dart manufacturer were the given reasons for such a thumping by both pundits and Van Gerwen, but at 5/2 to win this season’s Premier League, Taylor should not be deserted. In such a long and distinguished career, it is no surprise that this isn’t the first time Taylor has faced questions over his ability. 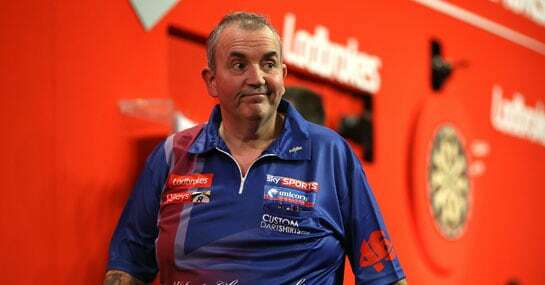 In 2008, Taylor lost his 100 per cent record of appearing in the World Championship finals when crashing out to Wayne Mardle in the quarter finals. He then changed darts and suffered a stuttering start in the Premier League, losing three of the first four matches, including a heavy 8-3 defeat to Peter Manley. What followed was a display of true class as “The Power” went unbeaten in the remaining 10 games, drawing just one of those, before lifting the Premier League trophy with comprehensive wins over Adrian Lewis and James Wade in the playoffs and final respectively. As recently as 2011, Taylor was thumped in the Premier League opener, when his good friend Lewis breezed to an 8-2 win. Taylor responded by winning every single match he then played in the competition before bowing out at the semi-final stage to Lewis. That kind of symmetry makes next week’s meeting between the pair even more appetising than usual, with Taylor out to prove a point.